How else to describe the reaction to the news that Kenny Black was to become an assistant coach with Craig Levein's Scotland squad? Well, they maybe found another way to react in Airdrie where running, screaming to the hills probably seemed like the best option. Black was the Airdrie manager who presided over three successive relegations, a treble claim to fame that's probably not much sought after in managerial circles. Obviously there is a chance that this achievement has made Black an almighty Jonah and we're all doomed. Let's not dwell on that. Thinking about it a few things came to mind. Good coaches don't always make good managers. Alex Miller was endured as much as celebrated as manager of Hibs for a decade. But he went on to coach Liverpool to a Champion's League win. Managing and coaching require different skills that are maybe not always obvious to the outside observer. Miller's obsession with tactics and systems was a massive plus point as a coach. But as a manager they blinded him to the different personalities within the squad rendering him less effective and often resented by his players. Black may well fall into the same category. And Levein has now got the old crew back together. Peter Houston and Kenny Black. Scotland 2010 will be managed by the men who cut through Leicester in the mid-2000s like a cold knife through partially defrosted butter. It's a funny thing. I can't think of another profession - maybe politics - which relies on old friends as much as football management. Time and again we see management teams arrive as a job lot or watch a new boss gradually fill his coaching staff with names from his past. Maybe it is the transitory, brutal nature of the job. The axe always hovers, blame is always about to be laid at your door. So you surround yourself with old friends and the manager's room becomes a sanctuary, as comfortable and easy as the 19th hole. Alex Ferguson has, mainly, relied on people he knows and trusts at Manchester United. Brian Clough was diminished without Peter Taylor. But Bobby Robson, who did alright when he moved abroad, was adamant that to have a chance of success in Holland Steve MacLaren should make the move alone. Maybe that's why Shhteve was so quick to learn the accent. Fabio Capello had both old friends and new colleagues in his England set-up. So it can work and it can fail. There's probably not much science to it. If it makes the manager more comfortable then it's probably a good thing. I've not felt Craig Levein has yet looked at ease as an international manager. That will eventually transmit to the players. If he needs Kenny Black as a security blanket then we'll just have to live with it. We've not got much in Scottish football. So, for now, we'll just need to make do with putting our trust in Levein. And how much damage can the assistant coach of the national squad do? Sprain his ankle putting out cones? Not like he can get the national squad relegated. Still. Might be worth buying a rabbit's foot for your next trip to Hampden. Normally the inbox for the Scottish Football Blog is full of comments and press releases of varying relevance to the subject in hand. The junk folder tends to be full of messages from very sincere, and sadly often recently bereaved, people who have the gift of money and are prepared to share it with me if only I'll send them my bank account details. Basically, as email accounts go, it's not the world's most exciting. But today I got a bit of shock as I went to clear out my junk folder. An email arrived from a company called NetResult on behalf of another company called Football Data Co Limited. A jolly friendly email it was to. As friendly as a letter using sub-legalese to threaten you can be. I've upset Football Data Co Limited. I've also upset the Scottish Premier League Limited who employ (actually part own) Football Data Co Limited to "develop, commercially exploit and protect their intellectual property rights in the fixture lists and data." 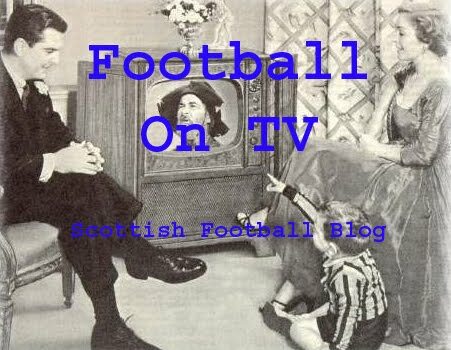 My crime is to use the SPL logo and "displaying Football Fixtures." Firstly a mea culpa. Not for nothing did I get an extremely high mark in my Media Law course. I do use pictures on this blog - including the SPL logo - without much thought about copyright. Google Image search has made me lazy. I suppose I'm like one of those people who drive above the speed limit. I know it's wrong but I think I'll get away with it. Obviously my indiscretion has less chance of ending up with somebody being killed but the principle remains. I've often been critical of the SPL. But it has remained the main focus of the blog and I've often celebrated it in posts and devoted my thoughts - such as they are - to how we can make the game better. Note "we." Foolishly I have always thought we were all in this together. Clubs, administrators, fans, bloggers. All of us pulling together as part of the Scottish football community. Disagreeing, certainly, but all of us wanting to make the game better. Obviously not. So on the logo infringements I hold my hands up. "I didn't think I was doing any harm" is not a great defence. But it is my defence. 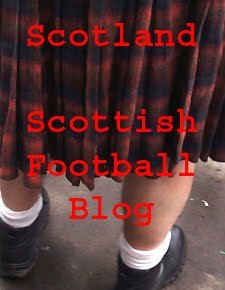 I've already started going through all 560+ posts trying to remove the logo and have sought clarification from both Net Result and the SPL as to whether this includes all images that include a reproduction of the SPL logo. I presume it does. So I'm in for a great weekend unless I can find a way of simply removing all images in one go. Anyone with Blogger experience who could advise me on that would be much appreciated. Right. Logos out of the way. What has really made my blood boil, got me spitting feathers, left me raging, is the fact that I've also got to remove the "Football Fixtures." Reading the email from Net Result I was half convinced that I'd inadvertently posted the complete fixture list for the SPL season alongside an in-depth analysis of each game that would leave Opta feeling a bit inadequate. But no. I've checked and identified the two posts that I think most likely to have caught the attention of Net Result's obviously rather wide net. The first I called SPL 2010/2011 Fixtures. I'll admit that title was aimed towards search engines. In it I included the first three weeks of fixtures for the SPL. I also listed the fixture list for 1st January because of the prospect of a weekend of derby action. I then linked to the SPL site and the Daily Record for their club by club guide. A week or two later, as part of my ongoing ranting about kick off times, I also listed the revised fixtures once TV times had been announced. I listed these up to November and included another link to the SPL site again noting that this was where the full fixture list could be found. This clearly is the crime heinous enough for Net Result to issue their warning. I was aware that Football Data Co UK had taken Yahoo and Stan James to court over their use of unlicenced fixture lists. 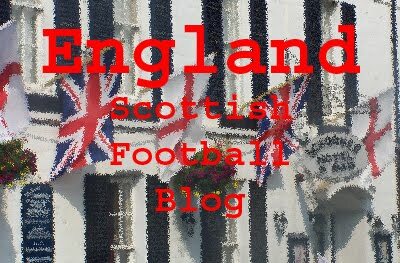 What harm though, I misguidedly thought, would publishing a few fixtures on my little blog do? So there we have it. I've now essentially been sent a cease and desist notice by a company that "specialises in Internet monitoring and enforcement." Firstly, the national game has now crawled so far up its own arse that the fixture lists themselves are a way for organisations like the SPL to make money. Don't be misguided enough to think that the fixture lists are a way of finding out when and where you'll be following your team. They are now a commodity. Secondly, to display even three weeks worth of fixtures I would need to purchase a licence from Football Data Co Limited. I believe this would cost somewhere in the region of £4500. A quick, conservative calculation would suggest that would be around 20 times the total value of everything I have received for writing this blog for just under four years. Hardly worth it. Thirdly, like a lot of bloggers, I use links frequently to link out to organisations like the SPL or newspaper sites. This is not a selfless act. But reciprocal links from these sites might come in at a ratio of 75:1 or so. Fair enough. Except that my first post "SPL Fixtures 2010/2011" didn't actually do my blog much good. People found it but they stayed on the page for around 30 seconds and there was an exit rate of 40%. 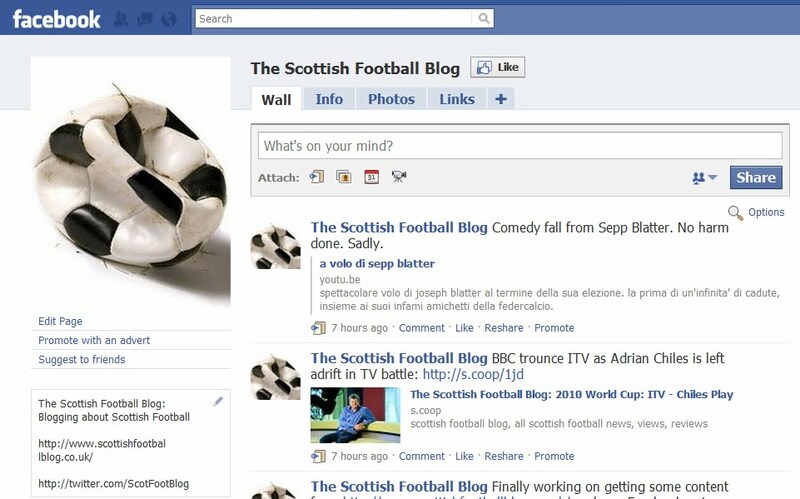 People were obviously following the links, including the links to the SPL site. I was actually driving traffic to them. Fourthly, scouting around the internet (links below) I'm not the only person who has fallen foul of this. And the feedback others have received is depressing. My understanding is that to actually print a preview of the entire SPL fixture card before a match weekend would be an infringement. I might be able to get round it by doing an individual post for each match or by just previewing one match each week. This is going to either cause more work than a blog I do in my spare time can justify or rob me of a lot of content. And rob readers of the chance to laugh at my predictions. My first thought was to get round this by changing the names, a kind of Scottish football version of Samuel Johnson's Senate of Lilliput. But somebody tried that already and got another letter from Net Result. There will be no Edinburgh Maroon's versus Hooped Glaswegian previews allowed. So here I am. Not feeling much better for stealing so much of your time with this wordy rant. What next? Along with ploughing through every image on the site I suppose I'll need to take down - or at least rewrite to become a witty complaint about censorship - any reference to fixtures. If this is retrospective then I suppose that will take a lot of time as well. After that I don't know. Right now I'm sickened and wondering what the point of even doing this blog is. I started it because I like to write and I like football. Much of what I write at work is dull and done on auto-pilot, this blog has been as much an escape for me as it has been about informing the readers. Hopefully at times I've done both. Right now though I'm probably seventy per cent persuaded just to jack it. Maybe I'll wait for a response from the SPL. Maybe not though because I can guess what they'll say. A couple of weeks ago I was looking forward to the new season. I shared that by giving my readers some information about the fixture lists. Clearly that deserves some sort of public whipping. Now I'm fed up. The lunatics have taken over the asylum. Chronicling the SPL, for fun, for free, because I love it, doesn't seem appealing at all anymore. > Lady Arse done bad. > EPL talk done bad. > The Telegraph thinks the whole thing is a bit off. ...Unless you get drawn against an SPL side. We're on a roll now. Well, a roll might be pushing it. But a winning start is all you can ask for. Motherwell might not have raced out of the blocks against Breidablik last night but Ross Forbes' goal got them a win and they kept a clean sheet. Better to be rueing missed chances in a victory than in a defeat. So Motherwell head to Iceland in good heart. And the two European draws today have not been massively unkind to the three SPL clubs. In the Champion's League Celtic face Portuguese debutants SC Braga, a clash that brings together the runners-up from Scotland and Portugal. Clearly Celtic would have preferred to play the fifth placed from Luxembourg. But they've missed teams like Ajax, Fenerbace, Zenit St Petersburg and Dinamo Kiev. Of course the big problem for Celtic is that beating Braga sends them through to another round. So the Champion's League proper remains a big ask. But we knew that anyway, at least negotiating Braga would offer a confidence boost. In the Europa League draw Motherwell will be heading to Norway if they can see off Breidalbik in the second leg, with Aalesunds FK waiting in the next round. The Norwegian cup winners are making their European debuts this season. As with Briedablik they have the advantage of being well into their league season, lying fourth at the midway stage. Again not easy. But could be worse. Providing the job gets done in Iceland of course. Finally Hibs will play either Videoton of Hungary or Slovenian side NK Maribor who drew 1-1 in their first leg last night. Again not powerhouses of the European game. Neither, of course, are Hibs. But games that SPL clubs need to be looking to win if we're to start to show some improvement in Europe. 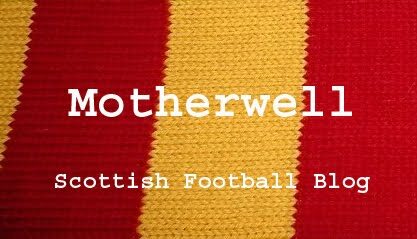 Traditionally this would be the post where I offer my expert opinion on Motherwell's Europa League opener against Icelandic side Breidablik. I would warn against the dangers of the opposition's towering centre forward and give some indication of Motherwell's readiness based on their friendly games. But I can't. Clean forgot to do any research because this article absolutely slipped my mind. So my preview essentially extends to: Motherwell play in the Europa League tonight. Scottish clubs were a bit hopeless in Europe last year. Be nice to do better this year. Good luck Motherwell. However, Craig Brown knows his men face a tricky test against Breidablik who are top of the Icelandic Premier League after 11 games following a 4-0 win over Stjarnan at the weekend. The manager used last week's friendlies against lower league opposition to involve as many of his players as possible. Breidablik visit Fir Park for the second qualifying round first leg and Brown said: "We don't want to use the fact they have already started their season as an excuse. "We have now had 19 training sessions and three matches, and Archie Knox is one of the best in the business when it comes to pre-season fitness, so we should be fit now." Obviously Craig has mastered optimism. But it does sound like Motherwell come into this game with better preparation than some of our teams have managed for these early European ties and in better shape than they were in losing a first leg to Llanelli last year. "I think from the training and management point of view we are a lot better prepared. "Obviously we have a similar problem in that there have been a few personnel changes in key positions. "I think with this team being top of the league, this is a much tougher proposition. "You would prefer to go into it having played a few leagues games but hopefully things will click into place. "There's no doubt they will have a bit of an advantage but we have prepared as well as we can with the fitness work and training. We're confident in our ability to play well." But there is always something of the unknown about these games. Motherwell will have some trepidation, although hopefully a solid start can set them up for the second leg. Fingers crossed. And it's nice to have "proper" football back. I've done my ITV round-up and I've done my BBC round-up. But I've not mentioned the commentators or the co-commentators. They are almost all dreadfully bad. Clive Tyldesley annoys and infuriates. Jim Beglin bores. Guy Mowbray seems awed by the job. Mark Lawrenson has become a parody without actually ever being that good in the first place. I was almost pining for Archie McPherson. I'd be tempted to award a knock-out victory to Radio Five Live. And their coverage was superior but the awful Alan Green casts a long shadow that the station struggles to escape. Even then Five Live wins on points. A massive fail for World Cup TV commentary. Oo-ooh! Dedication's what you need. So the late Roy Castle reminded us each week as we were growing up. The BBC's football team have remained the best at this World Cup and they've beaten the rest. But they've left many of us questioning their dedication. The major problem the BBC have suffered from is laziness. With little competition from commercial channels and no great threat coming from his fellow BBC pundits, Alan Hansen has become lazy. He used to be one of the best pundits around and, at times, he still can be. But for the main part he prefers to slump in his seat giving the impression that he's thought very little about football for about 15 years. By failing to keep Hansen motivated the BBC have lost their best asset. But it's the corporation's own laziness that has proved most wounding to their football coverage. 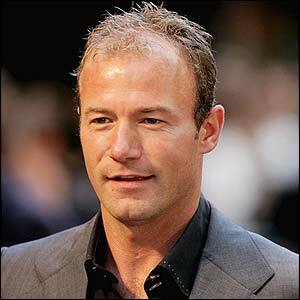 There is no excuse for the continued employment of Alan Shearer as a pundit. You would encounter more passion - and learn more about football - listening to the station announcements at Waverley for a day. The BBC chose to stay with the team in South Africa after evening games rather than attempting to replicate ITV's James Corden car crash. That led to some decent features that at least made an attempt to link the tournament to its surroundings. But it would have taken a dozen Pulitzer quality reports to atone for the decision to send Alan Shearer to a township to find out more about the legacy of Apartheid, a report so bad that my eyes and ears are still given to spontaneous bleeding. To have such a prominent role at TV's biggest event and leave with your reputation further tarnished and yet more people convinced that you are all but devoid of redeeming features is quite a feat. We can only stare in wonderment at how conclusively Shearer pulled that off. In all of this Gary Lineker performed quite well. At times he was even moved to give his own opinions, appearing less awed by the autocue than he does on Match of the Day. The result was an improved Lineker who looked more relaxed than his ITV counterpart Adrian Chiles. The over reliance on bad jokes remains though and, like many of his colleagues, he has a tendency towards the smarmy. Joining Hansen and Shearer, Lee Dixon seems over promoted in the role of main pundit. It was left to Jurgen Klinsmann and Clarence Seedorf to show how it could and should be done. Emmanuel Adebayor looked a token inclusion that added little to the party. The great difficulty the BBC team seem to have is not coming over as unbearably smug, as the sort of self satisfied blokes night out that you'd move away from in the pub. At times they failed. At other times they just about got away with it. It's up to the BBC to improve on this. History tells us that the ITV are hardly going to lift their game for Euro 2012. They need to find a way out of Alan Shearer's contract, avoid all British panels, persuade Gary Lineker that he was once a top class footballer. And find a way of getting Roy Hodgson, the great success of World Cup punditry, on screen for much, much longer. Not only did Spain add the World Cup to their Euro 2008 success tonight. They also ended Holland's reign as Unofficial World Champions. Spain are the 8th nation to be undisputed World Champions. Thankfully Spain's lack of success in the Unofficial World Championship means that Scotland's position at the top of the rankings remains unchallenged. 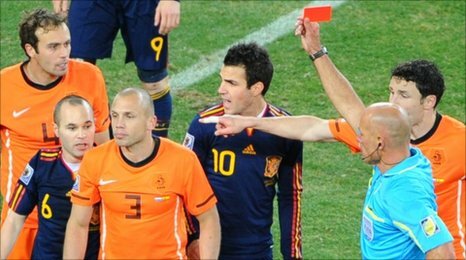 If Spain remain undefeated we could be playing to get out crown back on Tuesday, 12th October 2010. More on the Unofficial World Champions here.